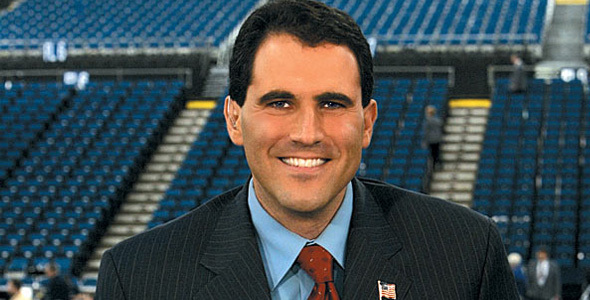 I had the great pleasure to speak with Seth Davis about the Campus Insider website and app, college football and basketball, and much more. Seth Davis: It is a really exciting project for me. Took a long time to come up with the name of the show. We got really creative and outside the box and came up with “The Seth Davis Show.” It is for this new all-digital sports network called Campus Insiders. The future is hear. This is all digital. The website we have is Campus Insiders dot com. The way this model works is instead of getting you to come to us, we are going to come to you. Whether it is through Twitter, there are literally hundreds of websites out there that are distributing content. As name of the network indicates it is based on insider access and information. The network is partnering with IMG College, which owns the broadcast rights to many FBS schools. We are going to be talking to people who are at these schools all the time. My role on “The Seth Davis Show” is to do more long form sit down interviewing, which is what I enjoy. AE: I love the idea about how Campus Insiders gives you the all access feel to campuses around the country. What type of guests can we expect to see coming up on your show? SD: Even though college basketball is my bailiwick as you know Art, we are going to be very football heavy, especially at the start. 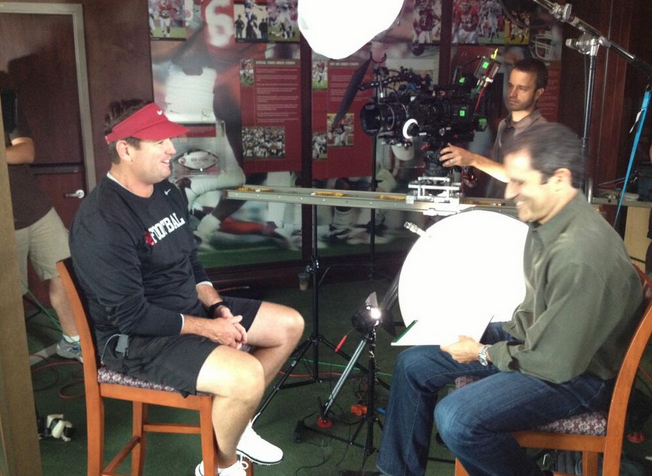 I have already interviewed Bob Stoops and Will Muschamp, Mack Brown and Steve Spurrier. I talked a little basketball with Billy Donovan when I was in Gainesville, but I will be talking to Larry Scott the PAC-12 Commissioner. It is going to be a college sports type franchise, type of show, but I reserve the right to go off topic. I happen to live in Los Angeles. I have moved here with my family. If I happen to be able to grab a movie star here or there, or a pro athlete or a pro coach here or there, the bottom line is I call it smart conversations with interesting people. There are no rules, so you can’t say the rules apply because this is a brand new concept of distributing content. So there are no rules and we are going to have a lot of fun. AE: Besides the great work you do for CBS Sports and Sports Illustrated which is a lot already. Can you tell me how you got involved with Campus Insiders? SD: Well the guys who are running Campus Insiders, Jason Coyle, Josh Wine, Crowley Sullivan; these are guys that not only I know, but everybody knows. They have been around the block a lot. They have been in the industry a lot, so I always have maintained a running dialogue. I am also managed by IMG, so this is really important to IMG and IMG College to get into this digital space. What I try to deliver for Campus Insiders is the same thing I try to deliver for CBS. It is the same thing that I deliver for Sports Illustrated, which is journalism. Hopefully high quality journalism that is fair, that is balanced, that is informative and opinionated. By the way it should be entertaining. I am cognizant of the fact that this is sports. This is not the war in Afghanistan we are talking about. This is supposed to be fun. When I go into these interviews the first thing I say to these folks is let’s have some fun here. It is a foreign concept to these college football coaches. It is having fun at work. It is not supposed to be fun they think, but for the thirty minutes that we are in front of this camera it is okay to have fun. AE: With college football in sight, what are some of the things we as fans should look out for on Campus Insiders? SD: For me, it will be the more long form interview type. The answer really Art is I am not sure. That is what is exciting about it. I come out of the TV world. I have a show on the CBS Sports Network during the college basketball season called “Courtside.” It is on every Wednesday at 7 o’clock. You are locked in. When you are in the digital space you are not so quite locked in. If we want to do Tuesday this week instead of Monday or do we want the segment to be 12 minutes instead of 35 minutes. We are kind of throwing things against the wall and seeing what works. We want to be high level in terms of our presentation and our information. You are getting good information. It is being presented in an opinionated and fun way, but it is also authentic. I don’t think you are going to see people, and I am not denigrating other anybody, but I don’t think you are going to see me and Bonnie screaming at each other. We may debate or argue, but I would like to think of it as high level, smart, fun conversation between two people who don’t take themselves too seriously. AE: I enjoy your work at CBS Sports as you cover NCAA men’s college basketball. You went to Duke. Is it hard to not be a homer when breaking the games down? SD: (Laughs) You know what, it is not hard at all. I get this question a lot. They are like the Yankees man. A lot of people say to me is it hard to be critical of Duke. First of all there is not that much to criticize. What are you really going to say about them? The answer is it is much harder to praise them. I wish it wasn’t this way, but I am cognizant of this because everybody knows that I went to Duke because folks like you bring it up to me all the time. If I am inclined to praise them I find myself not doing it that much. It is hard for me to say good things about them because people say he just saying that because he went to Duke. Well I say the win a lot. They don’t really cheat. Coach K is the USA Basketball coach. There is really not a whole lot of bad things you can say about them. That doesn’t mean I will not criticize them. 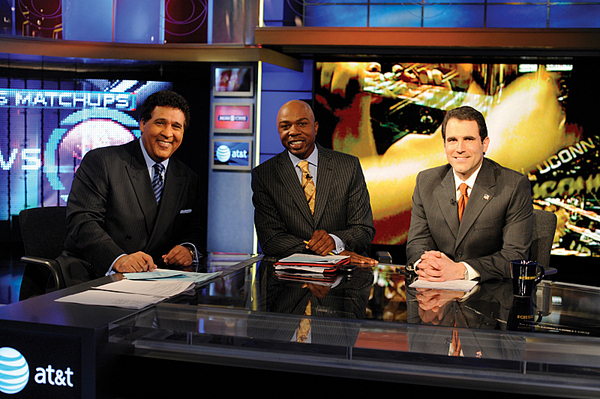 When I put on my suit and tie, when I get behind my desk I am a journalist, an analyst, and an expert. That is how I deal. Print article This entry was posted by Art Eddy III on August 28, 2013 at 6:04 am, and is filed under Sports. Follow any responses to this post through RSS 2.0. Both comments and pings are currently closed.